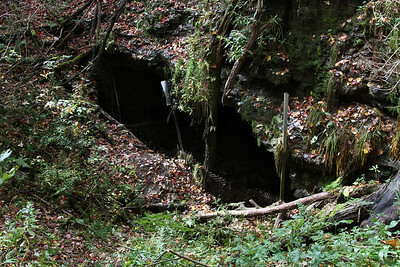 This incomplete 1100-foot tunnel was one of nine on the South Pennsylvania Railroad, and one of just three not initially used by the Pennsylvania Turnpike. 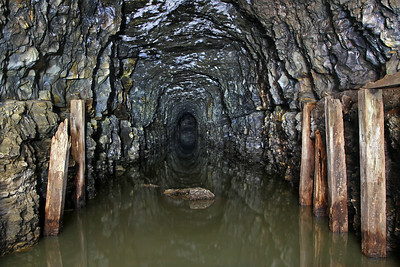 Only 706 feet had been drilled when construction ceased on the tunnel (and the South Penn at-large) in September 1885. Photos of Sideling Hill Tunnel and Rays Hill Tunnel, both completed by the Pennsylvania Turnpike in 1940 and later bypassed in 1968, are found in the Abandoned Pennsylvania Turnpike Tunnels gallery.